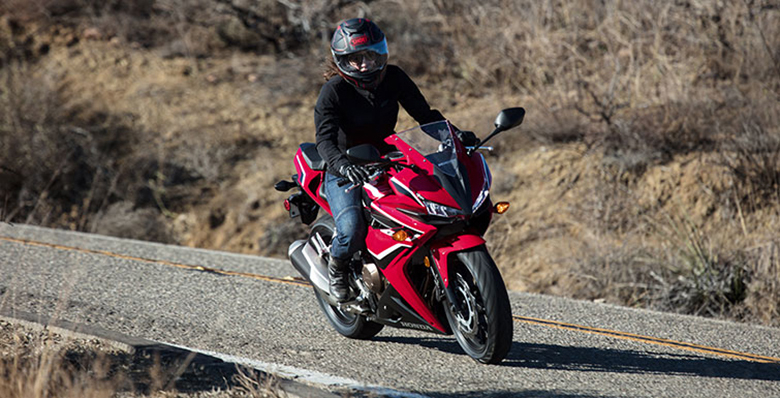 The new 2018 CBR500R Honda Sports Bike is an impressive Honda’s Sports Bike that offers remarkable performance under all conditions. It is considered the best combination of performance, versatility, and price. The engine of 2018 CBR500R Honda Sports Bike is powerful, smooth and it provides the broad powerband with plenty of revs and four-valve combustion chambers, twin overhead cams, and fuel injection. 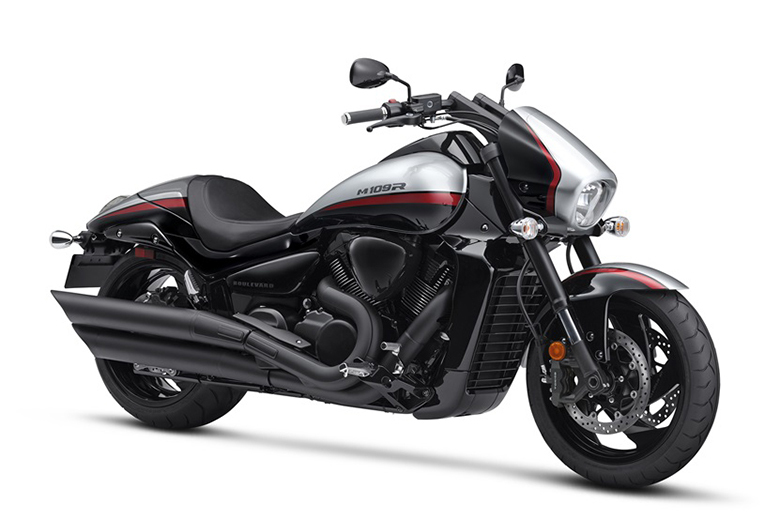 It is the best choice for those riders who want the perfect bike for city and highway riding. The review of the new 2018 CBR500R Honda Sports Bike with its price and specifications are given below. The new 2018 CBR500R Honda Sports Bike features the powerful DOHC Twin-Cylinder engine featuring one of the high performing engines ever. It uses the same piston and bore size which was used in 2017 CBR600RR Sports Bike. 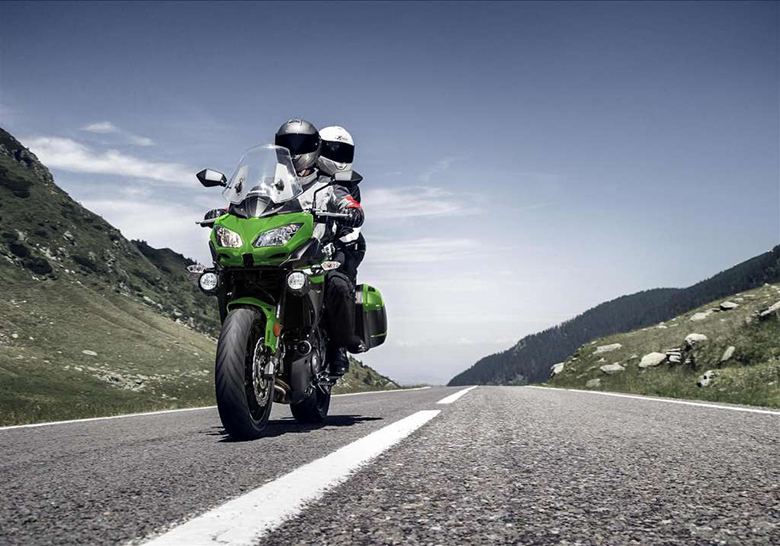 It contains the parallel-twin engine which provides an accessible performance across all RPM ranges. The new PGM-FI continuously monitor the several variables to guarantee the correct fuel mixture is being delivered for the existing riding and atmospheric condition. This system ensures to give the crisp throttle response throughout the wide variety of journey. 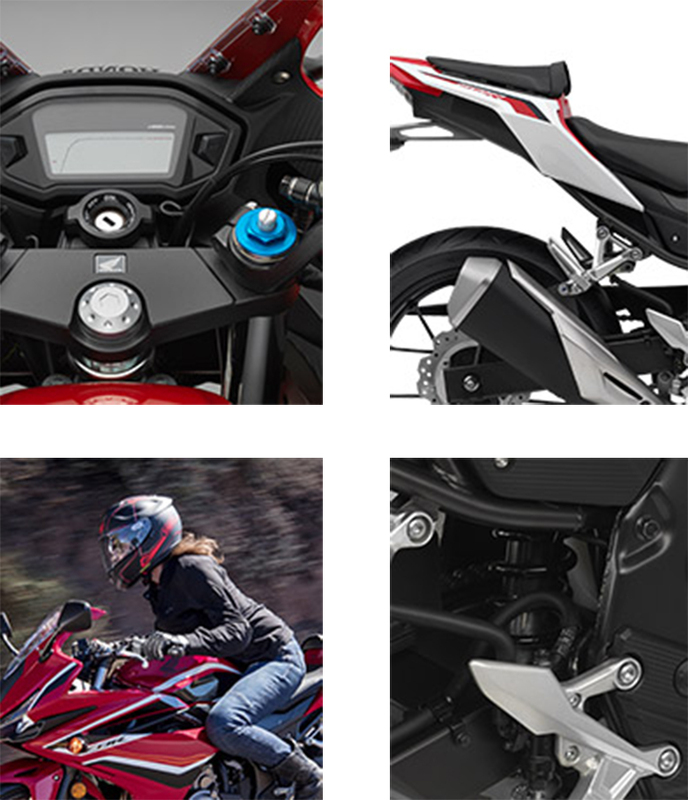 An all-new stainless steel exhaust is integrated with the rear footpeg which is being combined with the rear footpeg like in 2018 Honda CB500F Sports Bike. 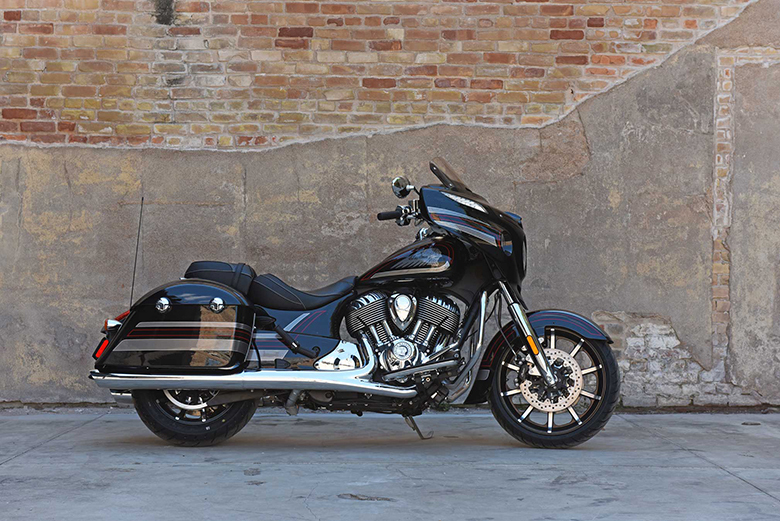 The exhaust tucks in tight for better centralization while it also provides the crisp exhaust note. 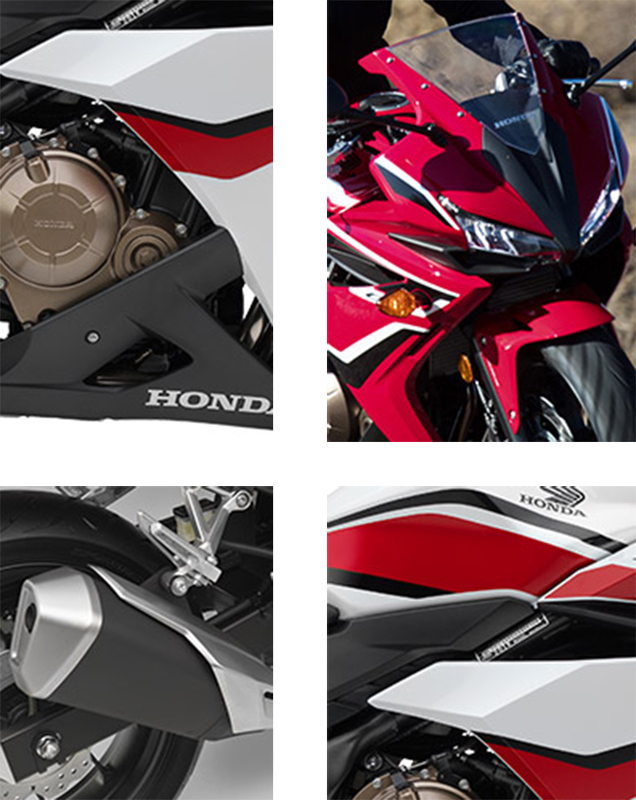 The new 2018 CBR500R Honda Sports Bike features the stylish looks with perfectly aerodynamic bodywork. It provides the significant advantages in air management for added rider comfort and active cooling. It contains the best steel-tube frame which is considered best for handling. The new diamond-shaped 35 mm steel-tube mainframe ties to the engine with four-mounts providing the rock-solid foundation for ultimate ride and handling. 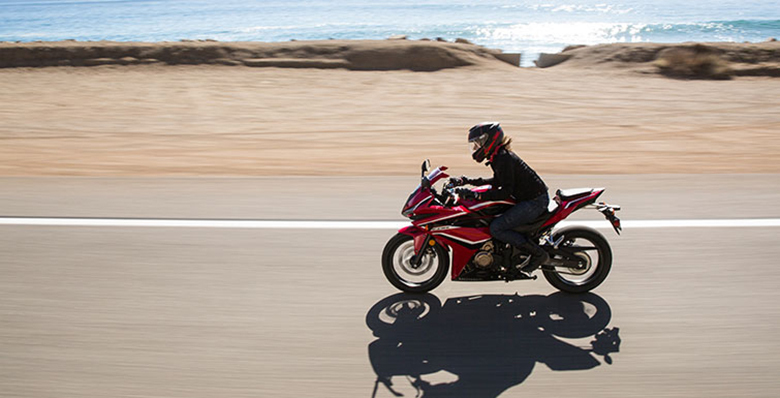 The new 2018 CBR500R Honda Sports Bike features the stepped two-piece seat with the low height. 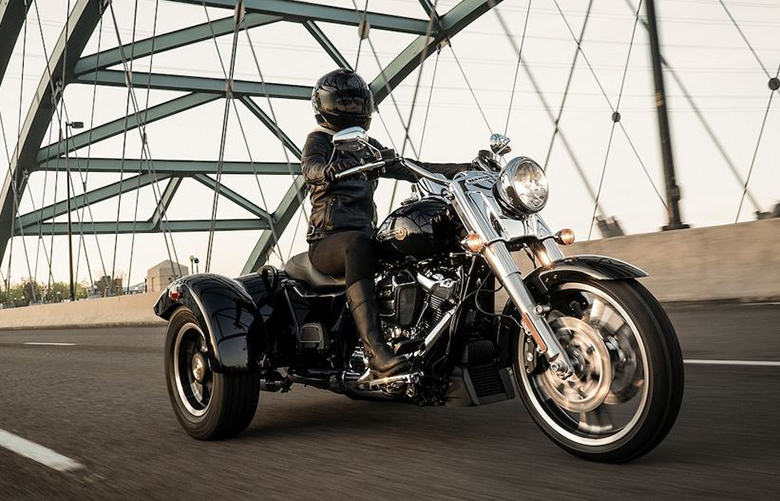 This sports bike is considered best for town riding or winding roads. This seat is specially designed to fit the full range of riders. 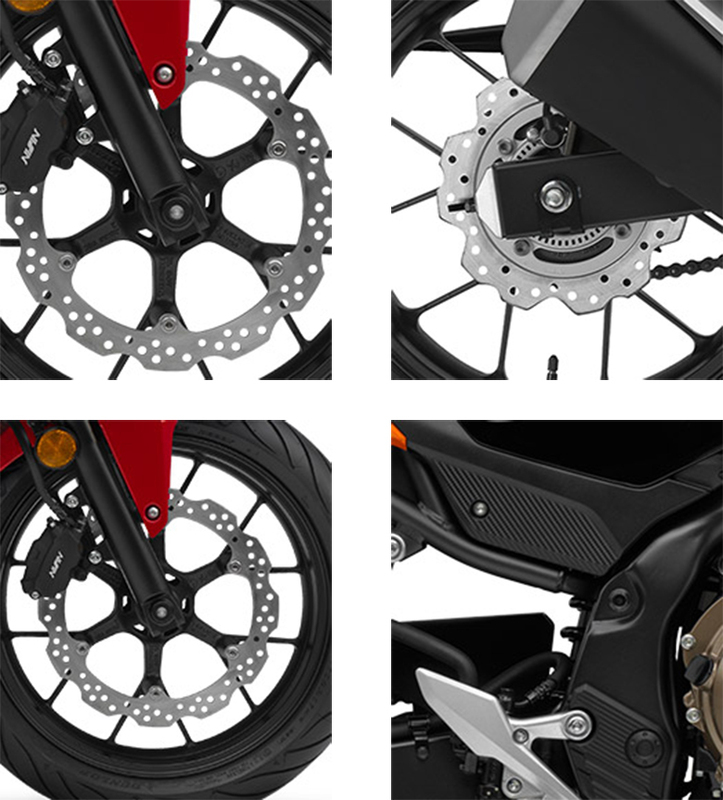 The sports bike features the individual shock settings for an improved ride comfort better than the previous 2017 Honda CBR500R Sports Bike. 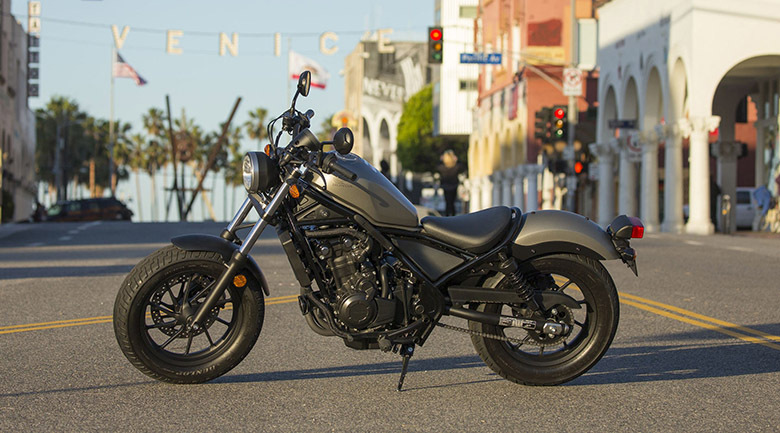 Its latest chassis uses the Honda’s Pro-Link rear suspension with nine-stage preload and 4.7 inches of wheel travel that gives comfortable ride over small bumps while absorbing the bigger bumps to increase riding comfort and handling. 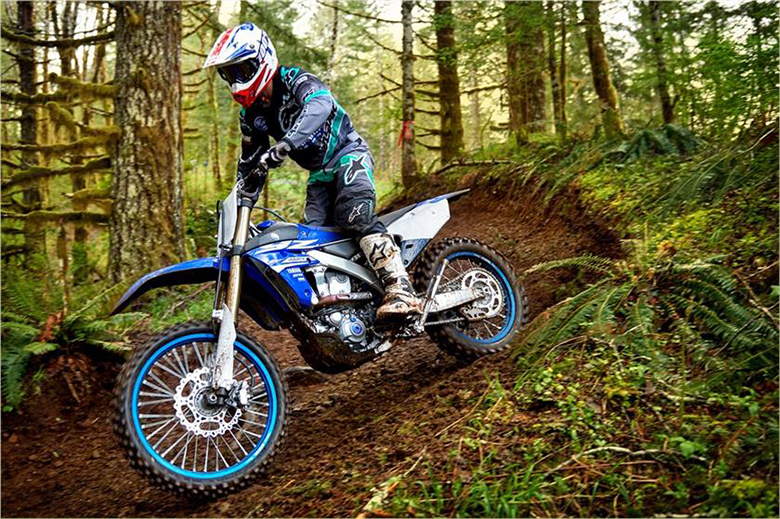 The new ABS is available that offers positive riding experience under less than ideal conditions. 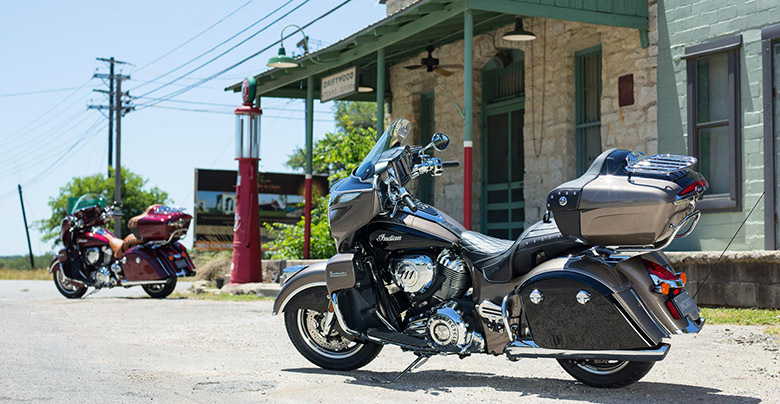 The stylish and robust aluminum 12-spoke cast wheels have been used to provide a clean look. The front disc brake of 320 mm and rear disc brakes of 240 mm providing strong stopping power. The front brake lever is fully adjustable for a perfect fit. The new 2018 CBR500R Honda Sports Bike features the latest digital instrumentation including an LCD screen that displays the digital speedometer, tachometer and much more. The powerful LED headlights come along with the new 2018 CBR500R Honda Sports Bike. These headlights are small and light giving a unique look and brighter light output. The new 2018 CBR500R Honda Sports Bike comes with the price of $6,599 only. Emissions This model meets current EPA standards. 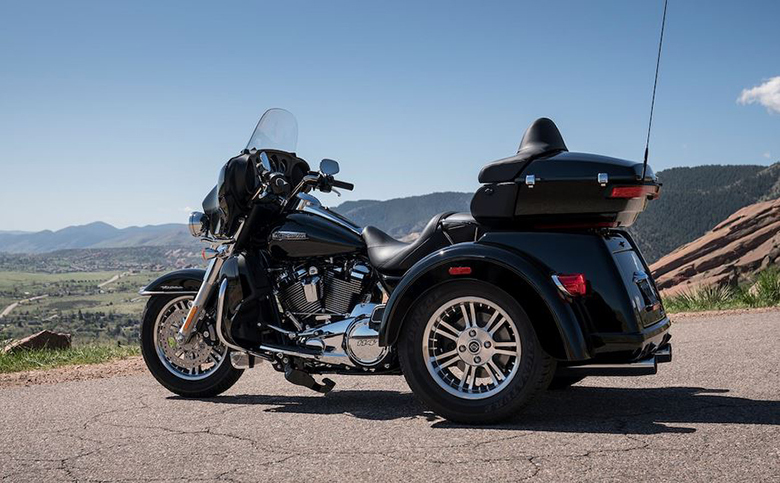 The California version meets the current CARB standards and may differ slightly due to emissions equipment. 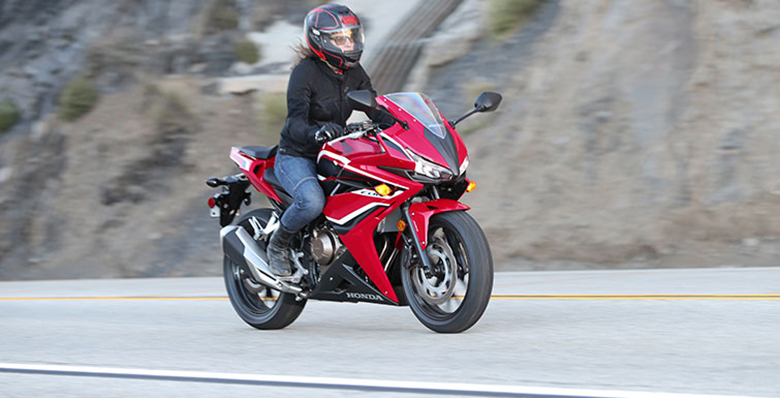 This review article gives the full review of 2018 CBR500R Honda Sports Bike, and it is covered under Bikes Catalog. This sports bike features the powerful 471cc engine, which has been carefully designed to give an outstanding performance. The stylish chassis not only looks impressive but it is light in weight as well. Those riders who are looking for the perfect for both city traffic and highway should think about the new 2018 CBR500R Honda Sports Bike.